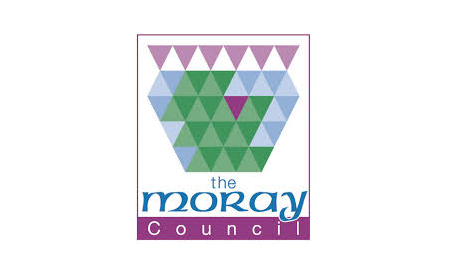 Moray Council are keen to get business engagement and involvement on the Moray Growth Deal. The council have been looking at other areas that have had the benefit of the experience of a successful deal. From the information that they have gathered, Moray Council have put together a series of FAQ’s to hopefully put some of Moray’s business community’s queries at rest. Please get in contact with us at Moray Chamber if you would like any further information. Q What is the Moray Growth Deal? R It is a regional long-term project based strategy which intends to transform the economy and boost economic growth across the Moray area. Its vision addresses issues specific to Moray and its projects are expected to address inclusivity and equality issues. It is called a deal because the projects need to meet the investment criteria of all partners – Scottish and UK Governments, Moray Council, partners and businesses. Q Where does the money come from? R Scottish and UK Governments, relevant public sector partners including the Council as well as from the private sector for projects relevant to businesses involved. Q Is Moray in competition with other areas in Scotland for the funding? Q How much money are we likely to get? R At this stage we cannot say, but it is likely to be significant as the deal is about strategic projects which will provide a step-change in economic growth and benefit everyone in Moray. As a guide, the Inverness city deal is worth £315 million in total and the Aberdeen city deal £826 million, although it is important to recognise the exceptional level of private investment in the latter – £556 million – the balance of £270 million coming from government and public sector sources. Q What will the projects be? R Unfortunately we are unable to give details of the projects as they are still being discussed before they are developed. The projects are designed to facilitate infrastructure and promote growth in areas important to the economy such as support for business, the visitor economy, facilitating skills development, higher and further education of the workforce, also to address important issues faced by our communities including gender imbalance and outward migration of young people. Q What return on investment is being sought by government? R There is no fixed target. Each project will have a different return on investment depending on factors like the level and phasing of investment required. It is likely to be more important that the projects are in line with government policy. Q What is the timescale for getting a deal? R We are working to achieve a deal as soon as possible. The first step is to reach a deal in principle commitment (Heads of Terms) from both UK and Scottish Governments. The target for this is June 2018. Q What threats might impede progress on the deal? R A wide range of issues might affect progress on the deal includingthe level of sums set aside by the UK government for city and growth deal funding, the level of grant settlements for the Scottish Government , local government and public sector partners, decision making by large businesses with headquarters elsewhere, and the impact of Brexit. Q Are you involving the voluntary sector? R Tsi Moray has been involved in developing the bid from the start and we will look at how we can involve the voluntary sector in the coming engagement and as projects evolve. Growth deals do not involve participatory budgeting within each community as they are designed to stimulate the economy at a strategic level, but a community based approach will be a major focus of the next community plan. Q Can Community Councils apply for some funding? R Growth deal funding is assessed based on identified projects which sit within the growth deal programme. It is not a pot of money which can be bid for, but there are other types of funding available for communities to bid for such as Money for Moray, the Moray Towns Partnership, Rural Regeneration and Participatory Budgeting funds. Q If we have received funding previously, e.g. flood relief scheme, will this affect our chances of funding through the growth deal? R Not directly. However, we may find that if the government has already made a prior funding commitment this may be viewed as part of the deal if this fits with the relevant policy objectives.